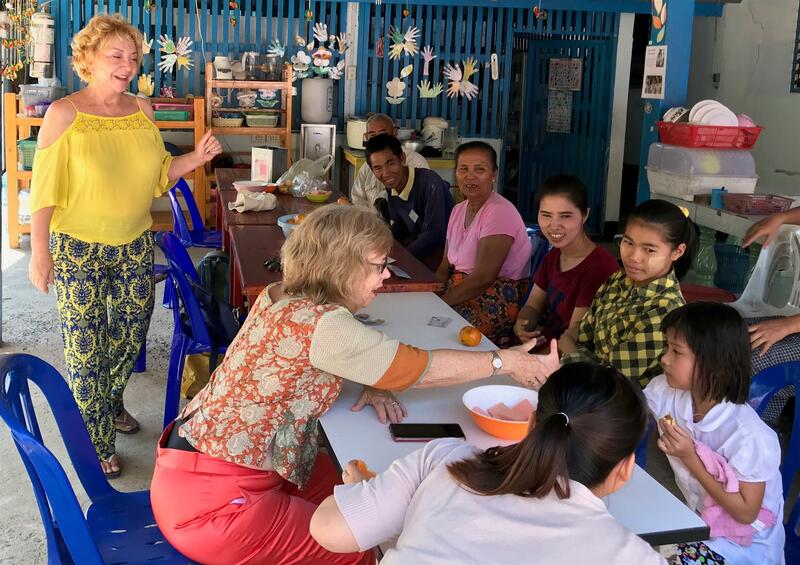 As always we had a terrific time during our February visits to the Burma Children Medical Fund's (BCMF) B. K. Kee Patient House in February. B.K. Kee house exists to provide a place where patients and their escorting family members can stay while they are waiting to be treated at hospitals in Chiang Mai, usually Suan Dok Hospital (Chiang Mai University Hospital). Most are referred from the Mae Tao Clinic when they have ailments that require advanced treatment. During the month of February, we had several new patients including a four-year boy with cancer and a one-year old girl who according to Klao, the B. K. Kee House manager has "something wrong for female". Also there are several patients with heart problems, a forty-nine year old man with a badly burnt arm who had several additional surgeries in February, a twenty-three year old woman with a facial tumor and a seven-year old girl with a neurological problem. What amazes me is how brave and happy all these patients and their family members are. They always have smiles to greet us and when we are sharing language practice there is a lot of laughter and joy. We also contribute to the wellbeing of the house by aiding in the maintenance and upgrades of the house itself and its environment. We have several small improvement projects planned. Among those are the expansion of the use of safety covers for the concrete drainage ditches around the house, some small concrete repair and caulk projects and safety railings for the new men’s bathroom. 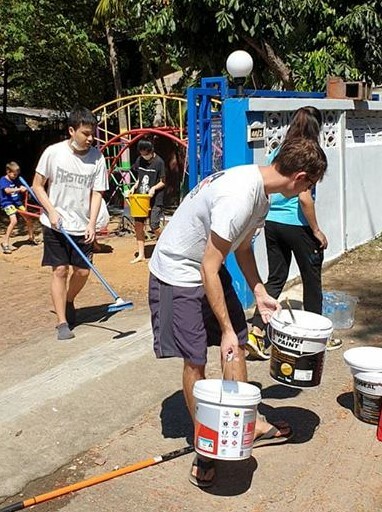 I am happy to announce that on February 9th the Chiang Mai International School Interact Club, sponsored by CMIRC, painted the wall in front of the house. Rtn Mike Gholson, our liaison, arranged with them to bring student members of the club to the house on February 9th for a paint party. We had seven students, the faculty liaison and his two young boys at the house. Everybody had a great time (left) and the students finished almost an hour early. There were no paint splatters and the students want to return for additional activity at the house. The finished wall is pictured at top left.